How to watch Only the Brave (2017) on Netflix Bangladesh! Sorry, Only the Brave is not available on Bangladeshi Netflix, but you can unlock it right now in Bangladesh and start watching! With a few simple steps you can change your Netflix region to a country like Thailand and start watching Thai Netflix, which includes Only the Brave. We'll keep checking Netflix Bangladesh for Only the Brave, and this page will be updated with any changes. 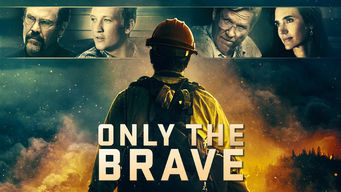 Only the Brave is not available in Bangladesh BUT it can be unlocked and viewed! While others flee fires, the Granite Mountain Hotshots run toward them. A fateful blaze forges an elite firefighting team of heroes in this true tale. There's no space for ego on the front line of a fire. Petty fights over territory could leave a town in ashes. There is a way to watch Only the Brave in Bangladesh, even though it isn't currently available on Netflix locally. What you need is a system that lets you change your Netflix country. With a few simple steps you can be watching Only the Brave and thousands of other titles!